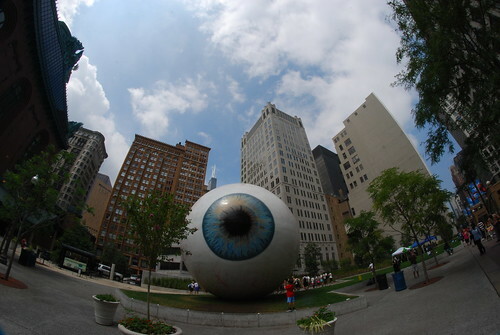 On July 7 this year a huge three storey high eye ball sculpture was unveiled in Pritzker Park at The Loop - the historic commercial center of downtown Chicago. 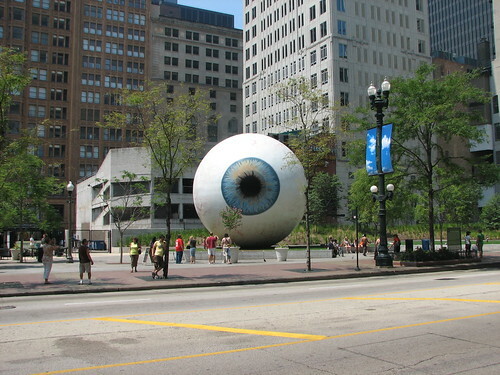 Made from steel reinforced fibre glass, the 30 feet (~9 metres) Eye with blue iris, is replica of the actual eye of its designer/artist Tony Tasset, art professor at the University of Illinois at Chicago. 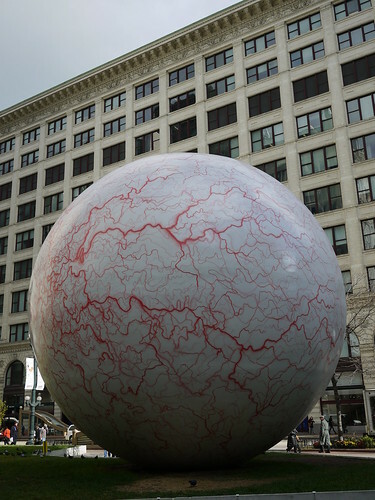 The art work was sponsored by Chicago Loop Alliance. 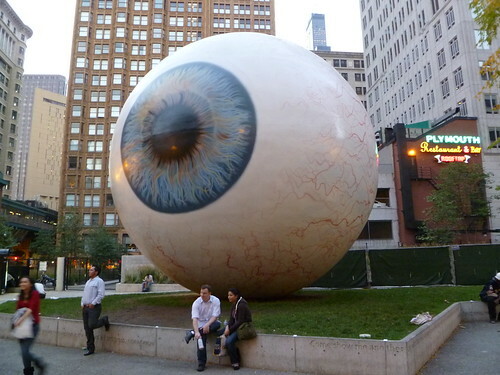 Unfortunately this eye catching sculpture is only temporary and was to be removed around end of October 2010. 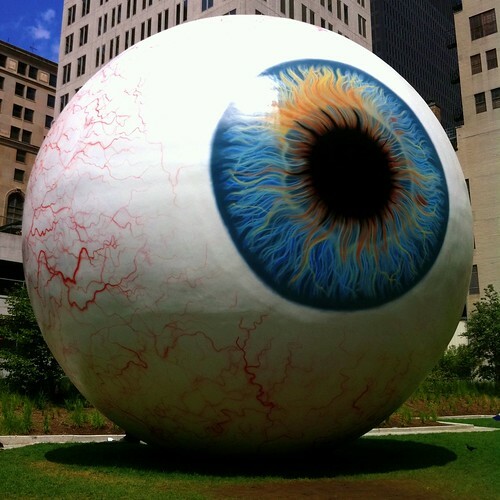 I am not sure whether this deadline has been extended or the eye has been removed. 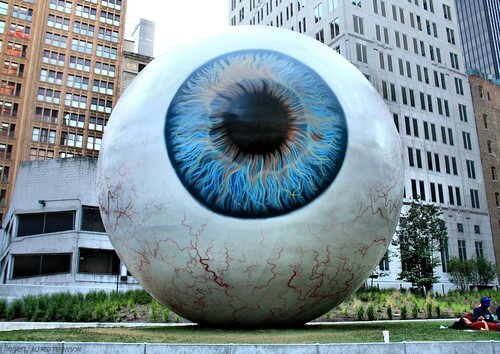 I only hope it has not been consigned to the dump yard and will be re-installed somewhere else.